Chelsea attacker Victor Moses preparing to leave the club in this transfer window. Maurizio Sarri replaced Antonio Conte in this summer and Italian manager started to rebuild the club. He has other plans and visions and already changed the Blues tactic. 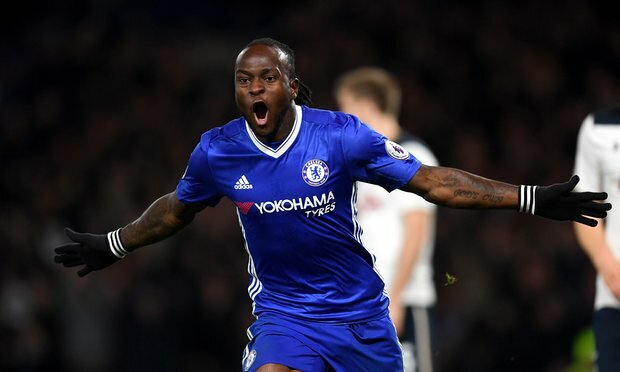 Moses had a regular place in London club under Antonio but now situation changed and he prefers to leave Chelsea. In this season Victor played 32 games, scored 4 goals and made 4 assists in all competition. He also named in Nigeria squad for the World Cup and scored an important goal against Argentina. Despite this, his national team stayed in the group after losing 2-1. The 2-year-old joined the Blues from Wigan in 2012 with a €12m deal. He was loaned in several clubs at first but recent years became an unchanged figure for the club. Nigerian winger is contracted with Chelsea until 2021 and his release clause is nearly €20m. There was an offer from Wolves during the transfer window but Blues rejected it. Several big clubs also interested to sign him and it won’t be easy to keep the player as he wants to get regular game time which is a very hard thing in London.